By steventrain, March 31 in What's On? 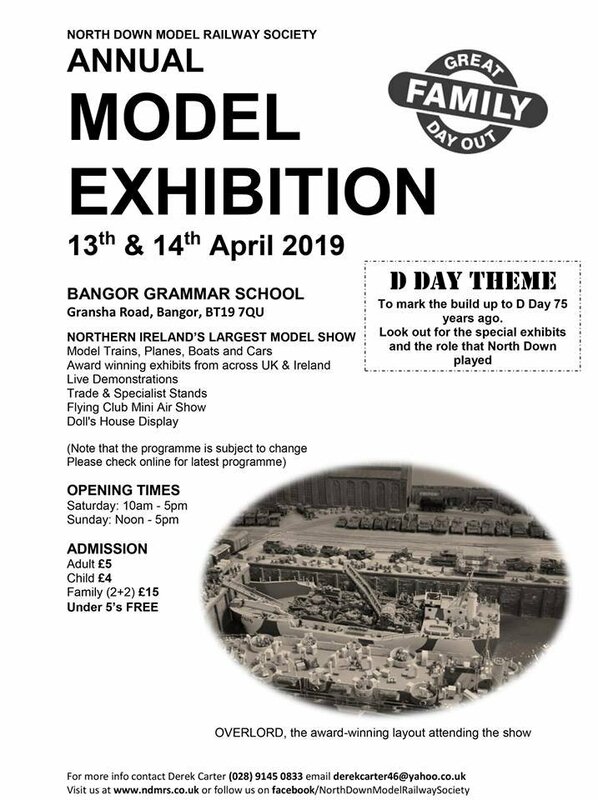 The NDMRS 2019 Exhibition will be held on Saturday 13th and Sunday 14th April at Bangor Grammar School. Of course, I'll have my old favourites like Bulleid Corrugated opens and H vans (mentioned in another thread), Brown vans, and a new run of the Spoil Wagon. I look forward to seeing you there - you'll find me in the Atrium sandwiched between Nelson building kits and Richard bashing brass (and showing off his brilliant drawings from the IRRS Archive. We will be at there this weekend too where we will have the latest IRM news as well as the new plough vans for sale as well as the remaining stock of Tara Mines Wagons. 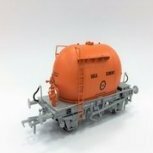 We will also have some Accurascale stock for sale too, if you want anything specific from Accurascale in OO or O let us know by Wednesday and we can arrange! We might also have something previously unannounced from IRM to show you this weekend too. So, make sure you drop by and have a look! Almost packed for my second run to my staging post pre Holyhead Boat at 3am Thursday. Amazing how many wagons you can get into a Smart Car - 300 if I believe my stock spreadsheet. To the young men at IRM - almost as young as we were when we founded the RPSI - congrats on the Yellow Perils. I guarantee that my new vehicle has NO working interior lights, NO working tail lights (although you could fit them - tempting? ); can be built for 16.5 up to 21mm gauge. Noel commented on the number of 21mm folk out there - I believe I have supplied to over a dozen modellers using 21mm track. There must be quite a few, as the Scale Four Society makes a W irons/axlebox etch with specially lengthened spacer. Ask Richard McLachlan on Saturday at Bangor how to "stretch" my kits to the correct gauge. I look forward to seeing some of you at the weekend. If there's a particular kit which you want, e-mail me, or send a PM and I'll set it aside for you. I notice Ian Hunter / Junction Box from Haltwhistle is attending the Show with his trade stand. I sold him a lot of built Irish Freight Models stock a couple of months ago, bagged cements, bogie flats, Tara's amongst others which he should have with him. Any news on the announcement? So Leslie, what were your two new kits? Am hoping the loco was the BCDR Ballynahinch branch diesel No. 2 (you did say your new loco was built in Belfast....)? Leslie was going to make an announcement about two kits, one his first non-wagon kit and the other a loco. Great show - well done to all involved. Good to see some solid trade support too! Oh dear I hope not the day an RTR model of a 22k is manufactured this hobby could be finished. Like Thomas fine for the toy market and youngsters but operationally as a model zero appeal. Layouts with few points, out’n’back, no shunting, and the noise they make is about as interesting as a fridge humming. DDC sound? Just a personal thought. Perhaps in 40years time they may acquire some sort of nostalgia value. Ps: anybody any photos of the Bangor show? 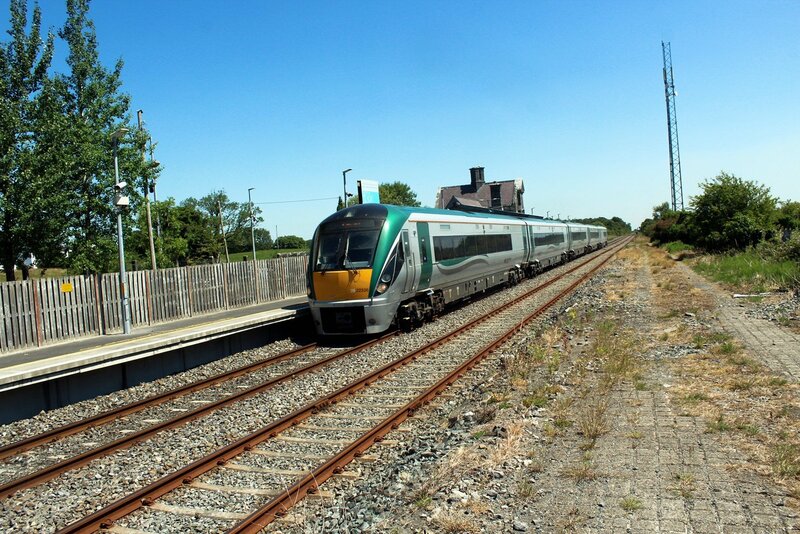 The late Jim Beale exhibited a Minories style British Rail layout during the 1990s operated almost entirely by 1st & 2nd Generation DMUs, being a double track city terminus with 3 platforms the layout was quite challenging to operate just like a mini-Limerick or Heuston. Any information on the new "passenger carrying vehicle kit"? Sorry - am no expert but looked like a GN Y van or similar - 4 w parcels type van in brown livery ..
A GNR 4w van makes sense and fits in with Leslie interests. 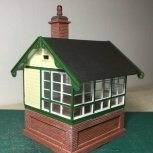 The ventilate Y vans were built for bread and possible fish traffic, the late Harry Connaughton a professional modeler built a batch of these vans in O gauge during the 1970s might be worth watching out for. If this post doesn't make sense it's because I've been driving all night from Holyhead and then sleeping most of the day away. The loco is not mine, of course, but was Judith Edge's kit of UTA No.22. 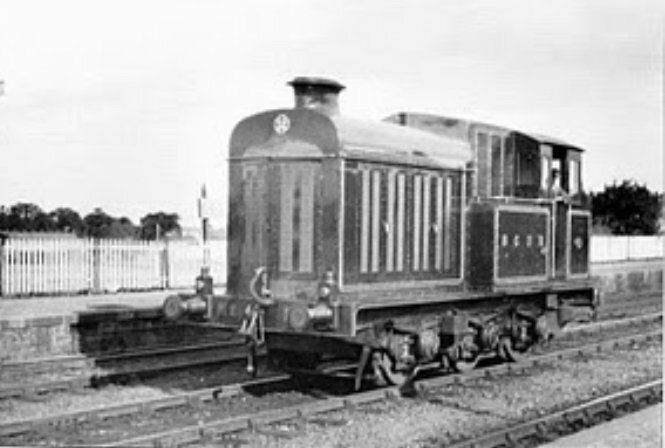 Very similar to the BCDR one pictured above, except with coupling rods! Quite a bit of interest and we sold one of our personal kits there and then! I'll post full info within the next few days. The BCDR "version" looks eminently "do-able" and we hope to persuade the Edges to do it next. The new vehicle was, of course, the long-promised Y5 van. Again, I'll post piccies of it here of it in a few days - a lot of family things to do in the next few days and it IS Holy Week. Thanks to those who did call by - always nice to meet old friends. I even paid Fran and Pat for my A Class - no prizes to discover that mine is a SILVER one - I saw them when the were pretty new - at Bray, while on hols. Thanks to the Derek and the NDMRS for organising it.